REAP-IR models retain Trijicon’s leading image quality, ease of use, and durability while adding new, user friendly features. 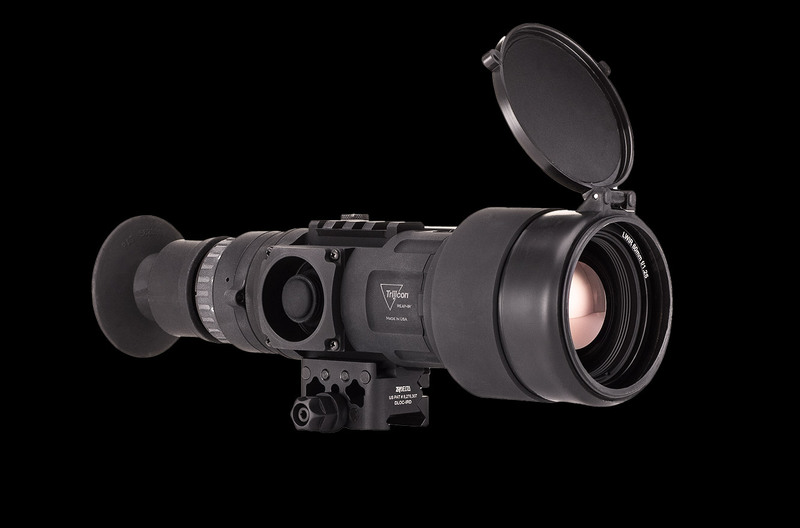 Trijicon is now offering two additional magnification options with enhanced features to the 35mm effective focal length variants (2.5x base optical magnification). The REAP-IR will now be available in 60 mm EFL (4.5x base optical magnification) and 20 mm EFL (1.5x base optical magnification) models. The new and improved variants and the existing REAP-IR configurations will be available for purchase. The new REAP-IR variants feature a simplified “Easy Zero Method” which makes sighting in the optic easier and more intuitive. Getting rounds on target is now a matter of aligning an on-screen digital icon with bullet impacts using provided MOA readouts. Integral picatinny top rail for accessory mounting. Trijicon also updated the main housing to include an integrated picatinny rail interface for mounting optional accessories, such as a Trijicon RMR®. The battery compartment has been redesigned to a ruggedized, top-loading compartment with an easy-to-use thumbscrew to allow simpler night-time operation. All Trijicon REAP-IR optics feature 640×480 resolution, 12 micron thermal sensors and 60 Hz frame rates. The REAP-IR family comes standard with five included reticle options, and six advanced polarity settings for exceptional visibility in any environment. Trijicon Electro Optics thermal scopes are engineered, machined and assembled in the United States and are tested to MIL-STD 810-G.
For more information on the REAP-IR and the complete array of Brilliant Aiming Solutions™ for the hunting, shooting, military and law enforcement markets, contact Trijicon®, Inc. at (248) 960-7700 or visit www.trijicon.com.